This new standard will be effective on January 1, 2014 and will become mandatory on January 1, 2015. TB 117-2013 is published by the Bureau of Electronic and Appliance Repair, Home Furnishings and Thermal Insulation November 22, 2013. Current strong interest in reducing levels of flame retardants used in home furnishings have resulted in the adoption of a new standard focusing on cigarette smoldering rather than open flame as the challenge. To pass the new test, both smolder-resistant cover fabrics and barrier fabrics placed under the upholstery fabric are commonly used technologies. 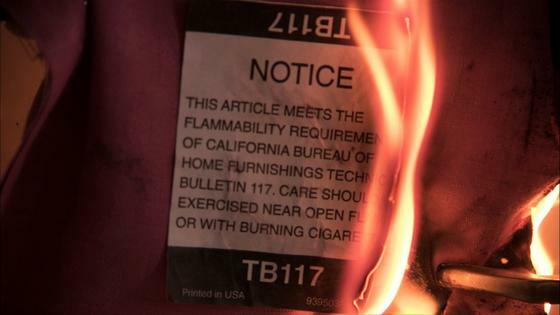 This new test method, TB117-2013, is the first activity in this particular area of flammability testing in forty years. It is another example of a consensus-based furniture flammability test that helps keep consumers safe. Vartest conducts a variety of flammability testing on fabrics, garments, furniture, rigid materials, and more. We anticipate serving the needs of our clients as consensus standard test methods and product performance specifications continue to evolve.